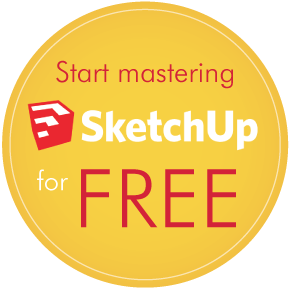 Master SketchUp – Sign up for free! Sign up for free and begin your SketchUp training TODAY. Join free for immediate access to select courses of the SketchUp video tutorials and professional modeling resources. Gain access to our free SketchUp video tutorial library. Ready to begin mastering SketchUp? Start your FREE membership! Want even MORE courses & content? Become a full member!